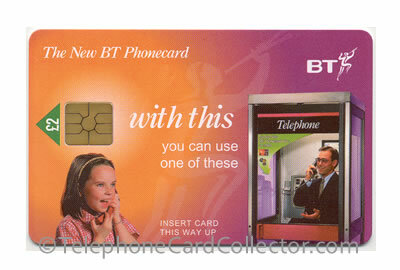 In 1993, three years before British Telecom (BT) introduced the new chip telephone card, BT contacted various telephone card manufacturers to tender for the contract to supply and produce The New BT Phonecard (pictured right). Nine companies responded and produced samples for the tender adjudication process. Pictured below are the known different examples that were submitted through the adjudication process - Example A to Example L. In addition, a number of cards (Example M to Example P) featuring the same design artwork have come to light, these cards are pictured as 'unconfirmed' and were not part of the submission to tender with BT. 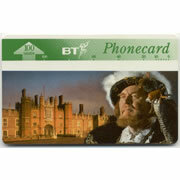 The artwork used for the sample cards was supplied by BT and was based on the 1992 set of six optical Phonecards entitled Britain's Calling. 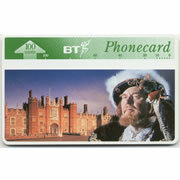 Please note: Example A through to Example L were submitted to British Telecom in the adjudication process. 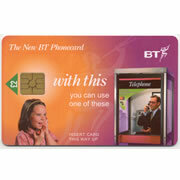 Example M through to Example P 'Unconfirmed' cards were NOT submitted to BT through the adjudication process. The 'Unconfirmed' cards were very likely to be errors that came out of the various telephone card manufacturers. Read more about the unconfirmed cards. 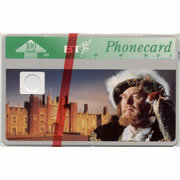 Example A - BULL CP8 - Green header, with white strip and white margin around card. 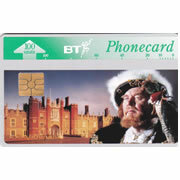 Example B - BULL CP8 (chip card) - Green header, with white strip and white margin around card, embedded with Oberthur chip module. 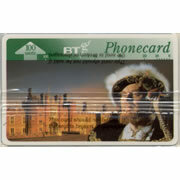 Example C - COWELLS Ltd - Light green header, with white strip and white margin around card. Example D - DELPHIC - Green header, with white strip and white margin around card. Redrawn card. 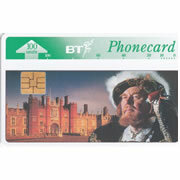 Example E - GEMPLUS - Green header, with grey strip and grey margin around card, blank space for chip to be inserted. 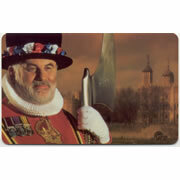 Reverse of card printed. 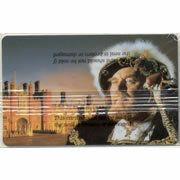 Example F - GPT (full face printing) - Full face print, reverse of card printed. 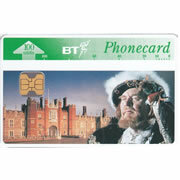 Example G - GPT - Green header, no white strip, white margin around card - image goes up to green header. Reverse of card printed. Example H - McCORQUODALE - Green header, with white strip and white margin around card. Reverse of card printed. Example I - McCORQUODALE (chip card) - Green header, with white strip and white margin around card, blank space for chip to be inserted. Reverse of card printed. Example J - ORGA - Green header, with white pseudo-optical white strip and no white margin around card. Reverse of card printed. Example K - SCHUMBERGER - Green header, with white strip and white margin around card, embedded with Schlumberger chip module. Example L - SOLIAC - Green header, with white strip and white margin around card, embedded with Solaic chip module. 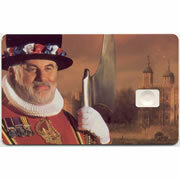 Example M - Unconfirmed A - Full face print, reversed image compared to original Phonecard. Reverse of card white blank. 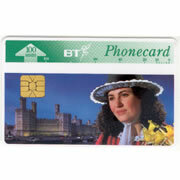 Example N - Unconfirmed B - Full face print, reversed image compared to original Phonecard, blank space for chip to be inserted. Reverse of card white blank. Example O - Unconfirmed C - Green header, with grey strip and grey margin around card, embedded with GEM Gemplus chip module. Example P - Unconfirmed D - Green header, with grey strip and grey margin around card, embedded with GEM Gemplus chip module.